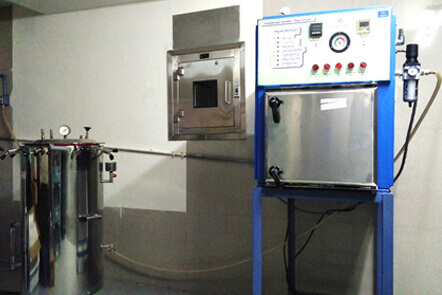 Central Sterile Services Department (CSSD) with dynamic passbox to ensure sterility of surgical instruments. 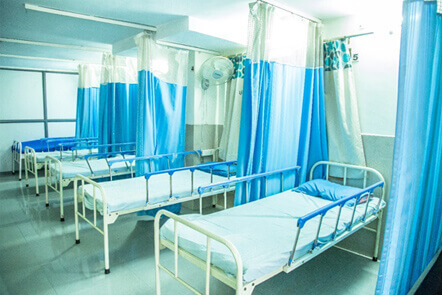 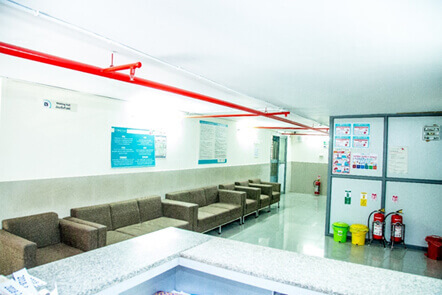 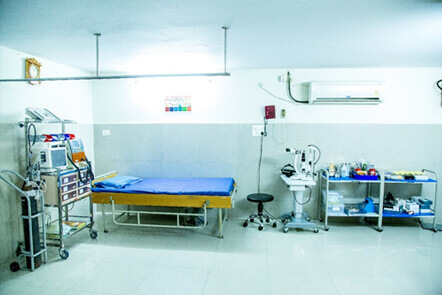 Pre-operative preparation room equipped with advanced multi para monitor probe for anaesthetic monitoring, crash cart with defibrillator for managing emergencies and equipment for safety of surgical patients. 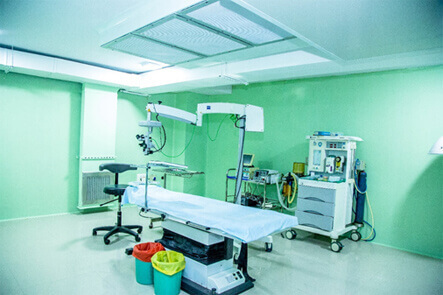 Operation theatre with laminar air flow system that markedly reduces the chance of infection. 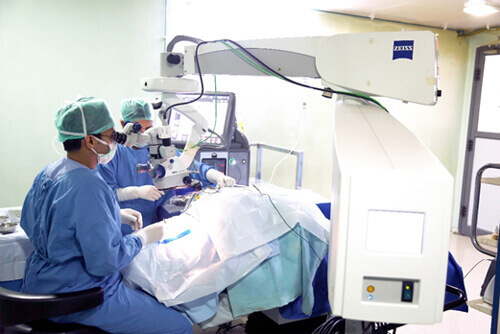 One of the very few eye hospitals with the facility. 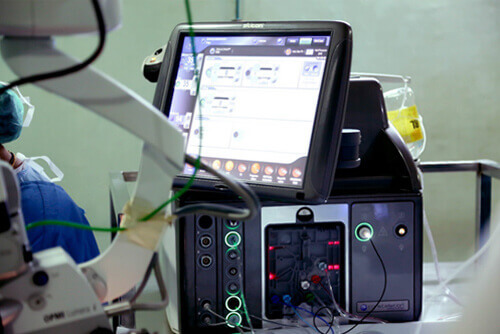 Advanced vitrectomy machines (Constellation vision system, Alcon) and phacoemulsification machines (from AMO).